Ballsbridge or Ball's Bridge is an affluent neighbourhood of the city of Dublin, the capital of Ireland. 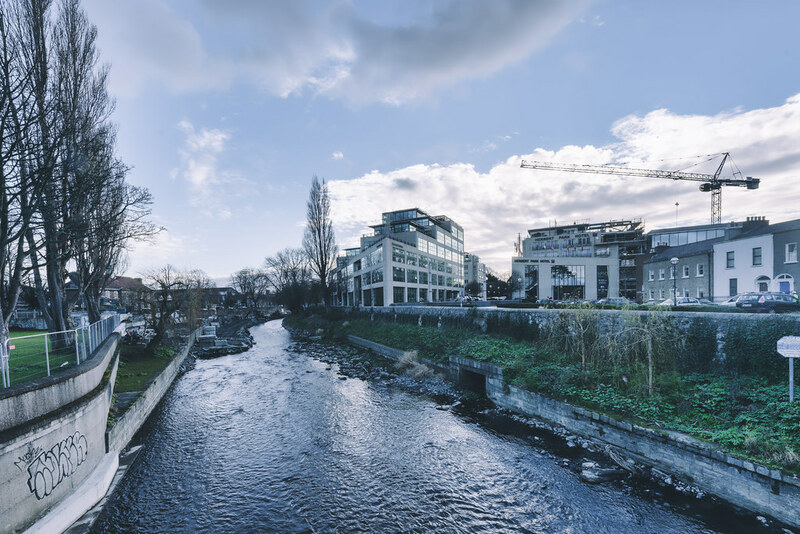 The area is largely north and west of a three-arch stone bridge across the River Dodder, on the south side of the city. 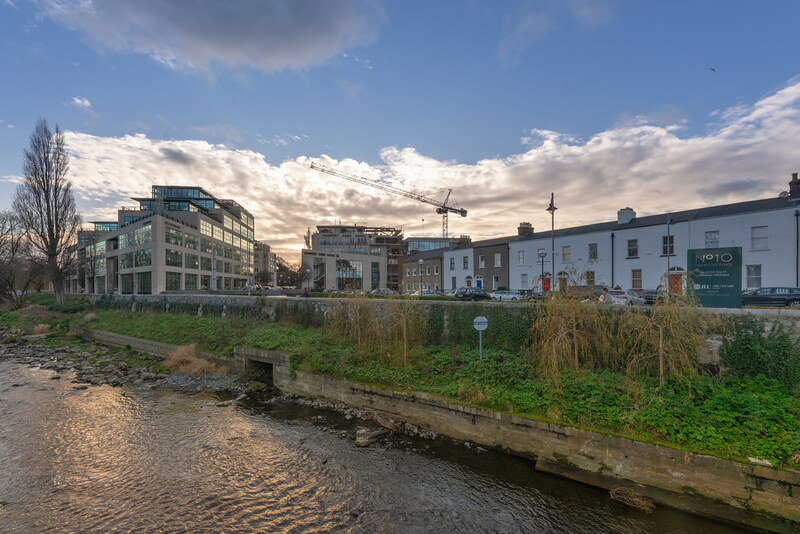 The sign on the bridge still proclaims it as "Ball's Bridge", in recognition of the fact that the original bridge on that location was built and owned by the Ball family, a well-known Dublin merchant family in the 1500s and the 1600s. The current bridge was built in 1791. The bridge itself forms the heart of the Ballsbridge suburb which extends northwards towards the Grand Canal along Northumberland Road up to Haddington Road and Shelbourne Road, southwards along the Merrion Road towards Merrion and along Anglesea Road towards Donnybrook, and westwards to encompass the area around Pembroke Road, Clyde Road, Elgin Road and Herbert Park. Herbert Park, a public park, is thirty-two acres in size and is divided by a road, also called Herbert Park, and forms part of Ballsbridge's nebulous border with Donnybrook. The Royal Dublin Society (RDS) has its grounds here, and the Lansdowne Road headquarters of the Irish Rugby Football Union (IRFU) is on the boundary between Ballsbridge and Irishtown. The corporate headquarters of Allied Irish Banks (AIB) are also located in Ballsbridge. 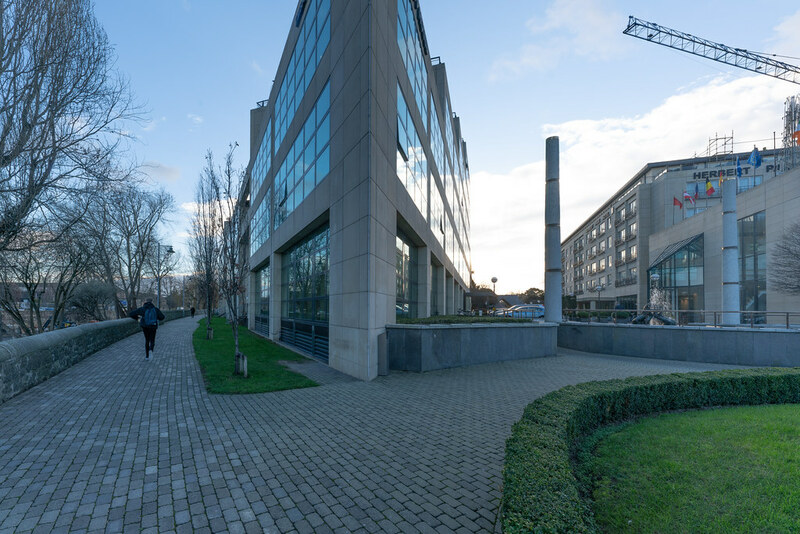 It should be noted that Facebook has decided to redevelop the AIB Bank Centre as a company campus which will be home to about 5,000 of their staff. Ailesbury Road, along with adjacent Shrewsbury Road, contains the most expensive properties in Dublin, and the roads are featured in the Irish edition of the board-game Monopoly. Shrewsbury Road was the sixth most expensive street in the world in 2007. Many of Dublin's embassies and diplomatic residences are located in the southern part of Ballsbridge on and around Ailesbury Road. The British, American, Italian, Spanish, Dutch and Israeli embassies are all located in the Ballsbridge area of Dublin. The U.S. embassy, an iconic cylindrical building, is a major landmark in present-day Ballsbridge. It was designed in 1955 by John M. Johansen, Professor of Architecture at Yale University. The project was 9 years in incubation and the building was inaugurated in 1964.